This is a combination of two recipes, the Vanilla Bean Ice Cream and the Raspberry Coulis (but I used strawberries, lol). Anyway, you get the drift…it is great to play with recipes, try out new things and see what happens, that is the magic and the fun of cooking! You could swap the strawberries back to raspberries if you like, but we loved it as strawberry. You could add a few sliced strawberries (at the freezer stage) and that would give it a bit of texture, but that is totally up to you. 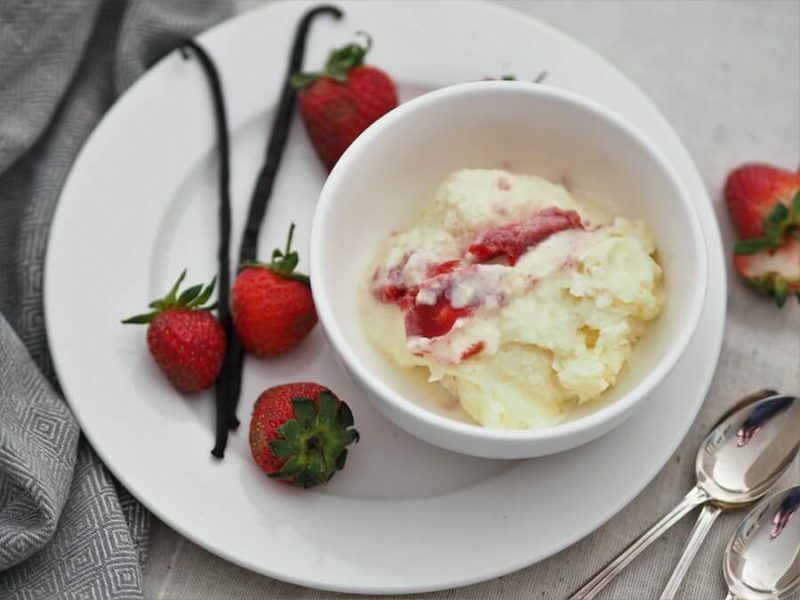 We simply served it with fresh strawberries…so gooood!